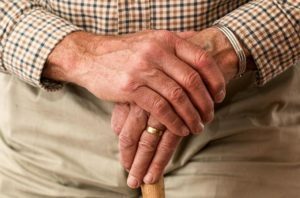 Included in the realm of estate planning is the elder law, which primarily focuses on the need of individuals and their families as they age. With age comes issues of senior housing, long-term care, nursing homes, Medicare, Medicaid, and guardianships. The population is aging. And whether for ourselves or our parents, more and more of us are faced with elder law issues. By planning carefully, assets may be preserved for a spouse or children. A pressing concern is often long-term nursing home care. This is not typically covered by traditional health insurance. In Las Vegas, nursing homes can cost from $40,000 to $150,000 a year, depending upon your needs. Most people pay for these costs until the family’s assets are depleted, and then look to Medicaid for help. Medicare and Medicaid are not the same. Medicare is an entitlement program. After turning 65, most people enroll for this federal health insurance program. You don’t have to meet certain financial requirements to qualify. There are two parts to the Medicare programs: Part A and Part B.
Medicaid is essentially a welfare program for which you must meet certain strict financial qualifications. Medicaid is a joint federal-state program in which the State implements the program based upon the federal law. To qualify, an application must be submitted to Nevada, which then determines eligibility. When a spouse, parent, or other loved one is no longer able to make decisions for his or herself, it may be time to have a guardian appointed. In Nevada, there are two types of guardianship: over the person and over the estate. Depending upon the situation, you may need one or the other, or commonly both. When considering the issues of long term care planning and Medicare or Medicaid issues, planning ahead is important. This often includes purchasing long term care insurance while you are healthy enough to qualify. And then to make sure you receive all of the Medicaid and/or Medicare benefits to which you are entitled.